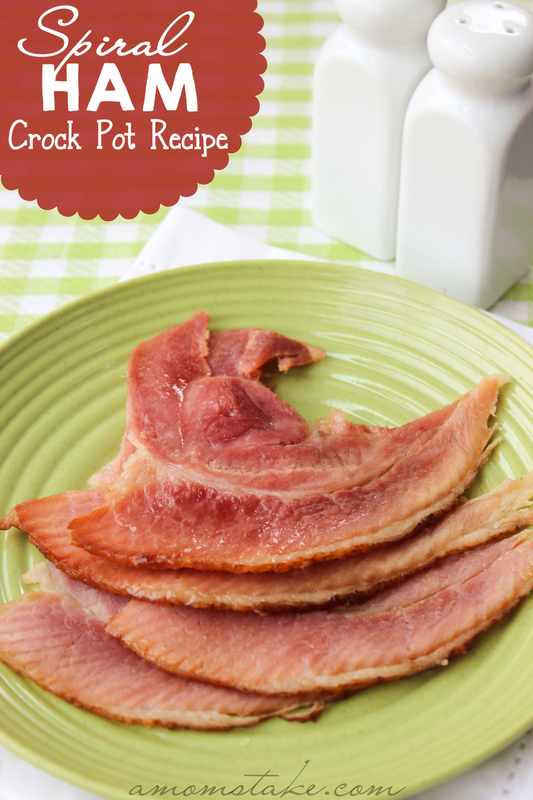 Easy Spiral Ham Recipe in the Crockpot! Delicious, flavorful ham cooked in your crock pot! Place your ham flat side down in a large crock pot. Toss the glaze packet, any plastic pieces that cover the bone, and any other packaging into the trash. Rub brown sugar over all sides of your Ham. Pour your pineapple juice and maple syrup right on top of the meat in your crock pot.